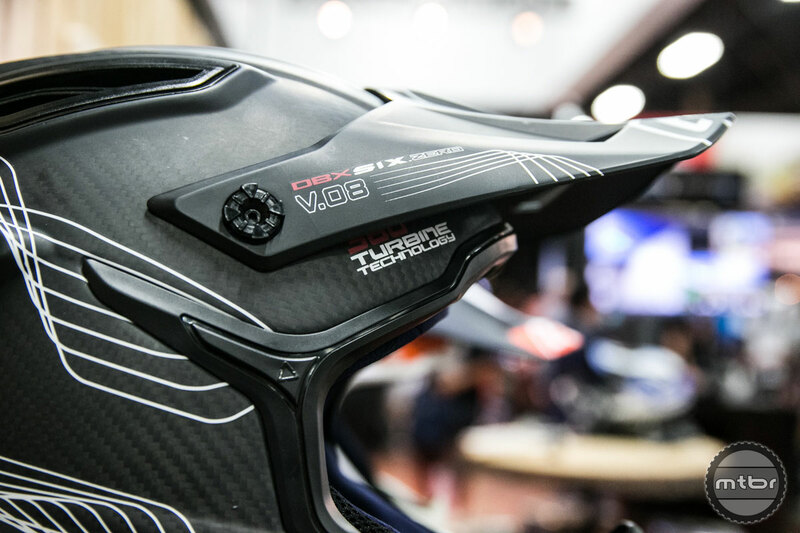 Leatt is tantalizingly close to production of a new full face helmet that features some exciting new safety technologies. 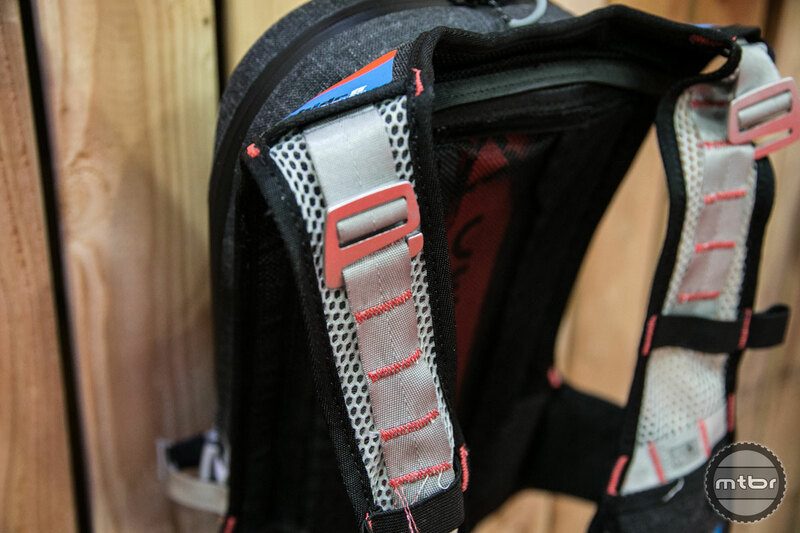 Stephanie Slatter walks us through some of the new safety technologies integrated into Leatt’s new helmets, gloves, and hydration packs. 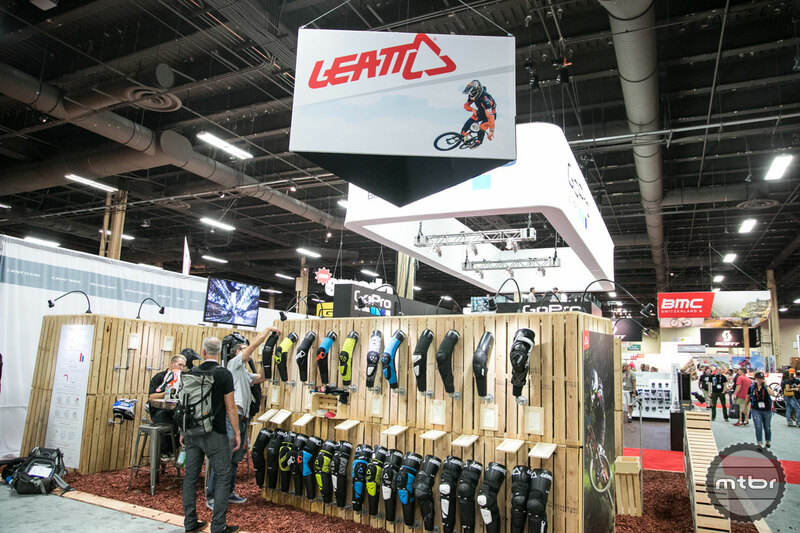 While Leatt has been teasing their much vaunted new full face helmet for some time, they had some pre-production samples at Interbike that looked tantalizingly close to being consumer ready. The helmet boasts a number of interesting new safety technologies such as Armor Gel. This material is pliable when soft but hardens immediately upon impact. It’s strategically placed throughout the helmet in circular pucks to help with lower speed impacts, as well as rotational forces. 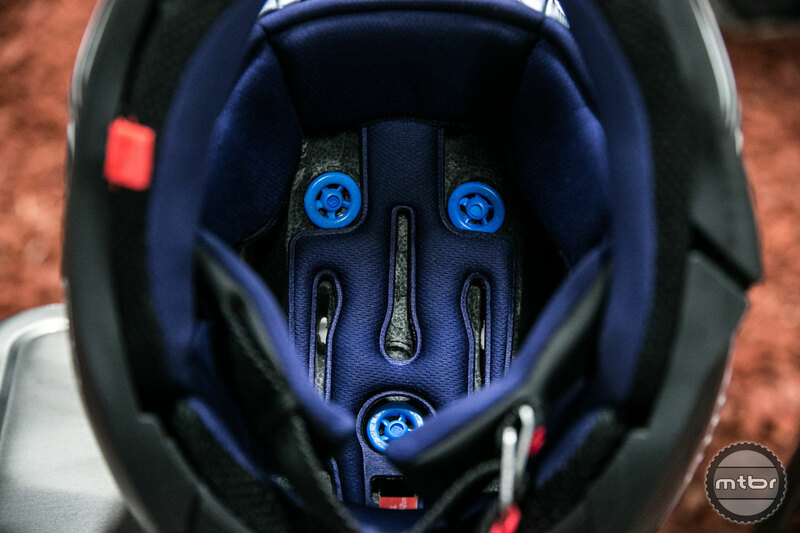 The EPS foam inside the helmet uses a combination of multi-density foams to accommodate a wider range of impacts speeds. 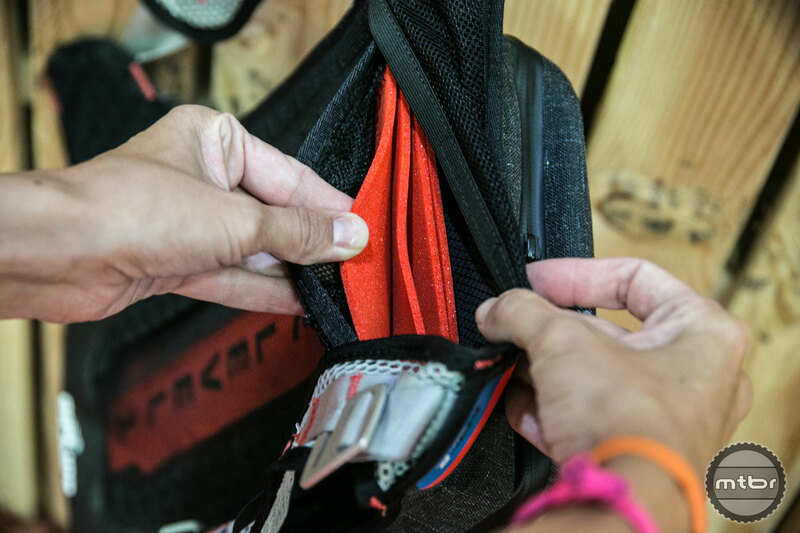 These technologies allow Leatt to build a smaller helmet, which transfers less rotational forces to the head. Other features include huge vents for cooling and removable cheekpads. Weight is 1280g and retail is $499. 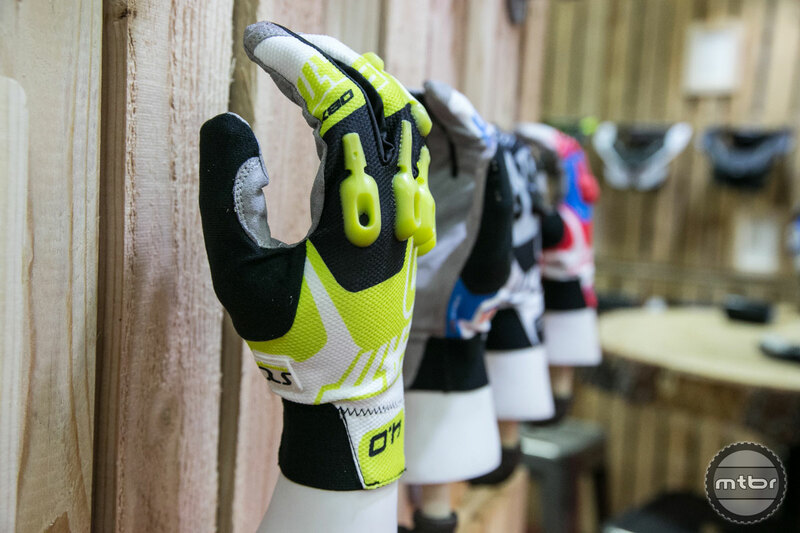 The other interesting product on display was the new DBX Enduro Light WP Hydration System. 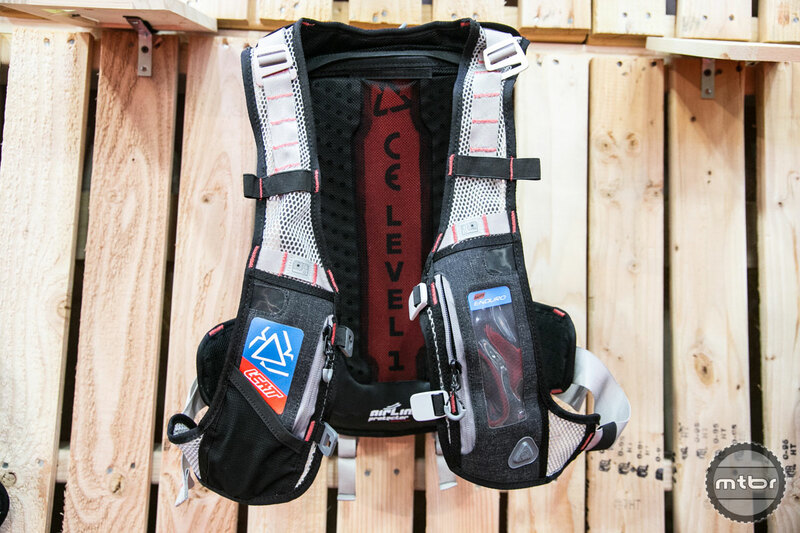 This hydration pack has a built-in integrated CE 1 certified back protector, a reflective liner inside to keep liquids cool, and a harness system with GoPro mounts and a clear smartphone pocket. Additional accessories for the bag include a hands free helmet hose and carbon filter kit. 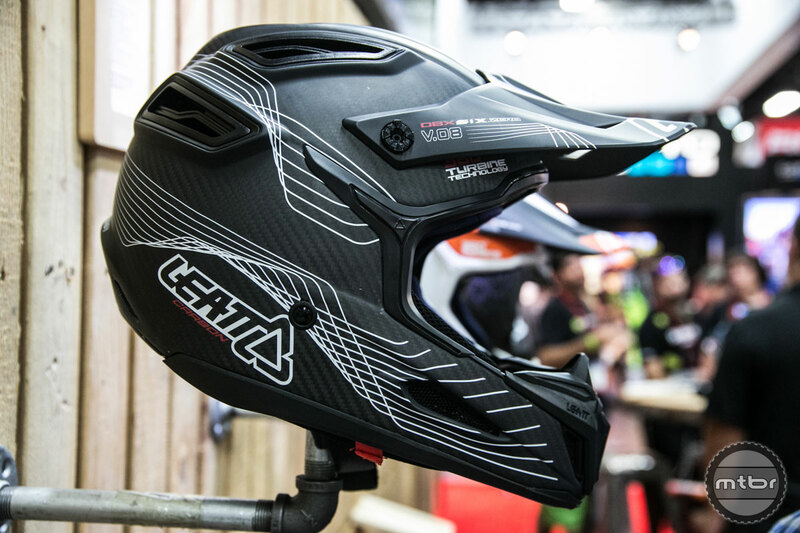 The brand new Leatt DBX Head and Brain Protection line redefines the traditional helmet. 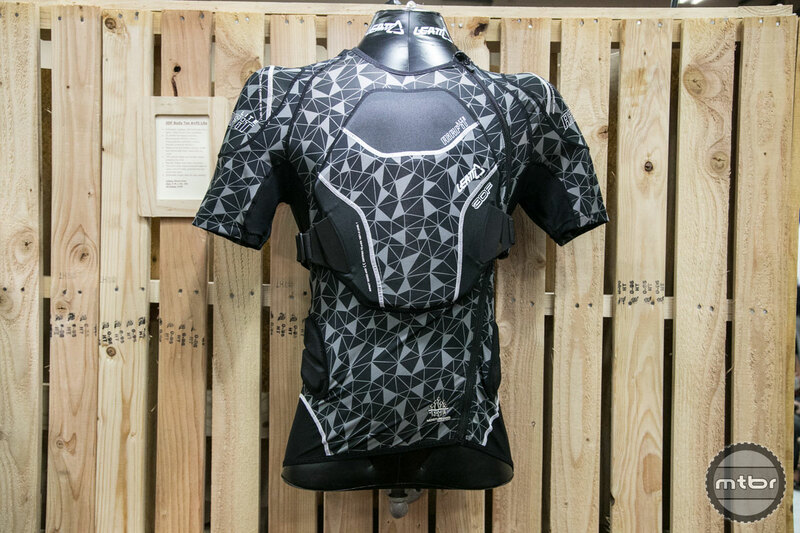 The patented 360o Turbine Technology significantly reduces rotational acceleration to the head and brain, decreases head impact at concussion level, and improves multi-impact protection! 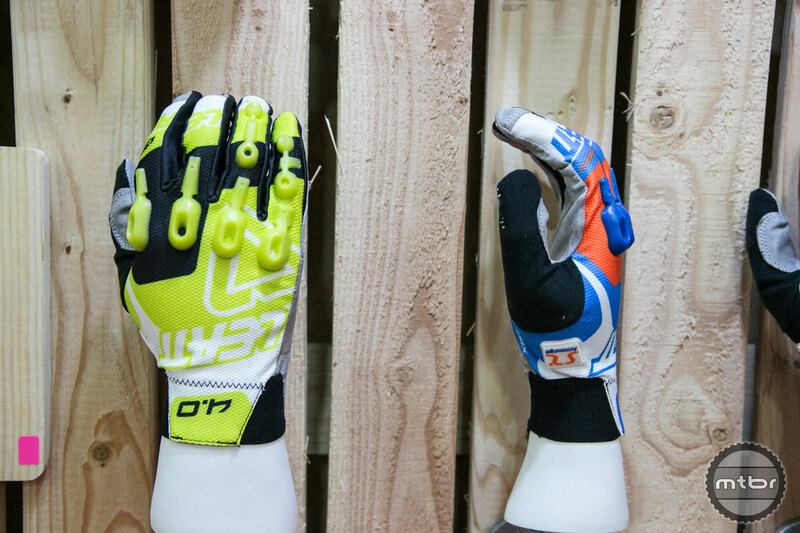 The Leatt® reduced outer shell volume decreases the torque and rotational energy to the head & brain. The helmet is the past, Head and Brain Protection is here and now. 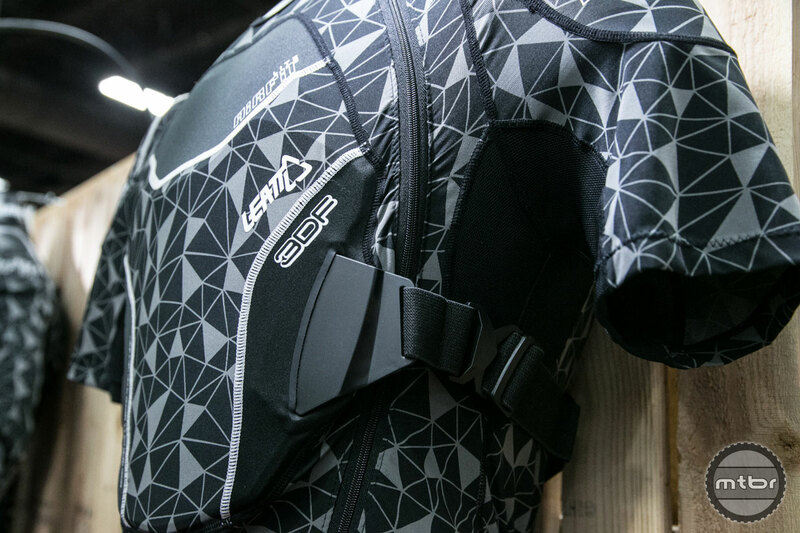 Leatt’s top of the line in soft body protection features lighter weight, more ventilation and an ultra secure strapping system. 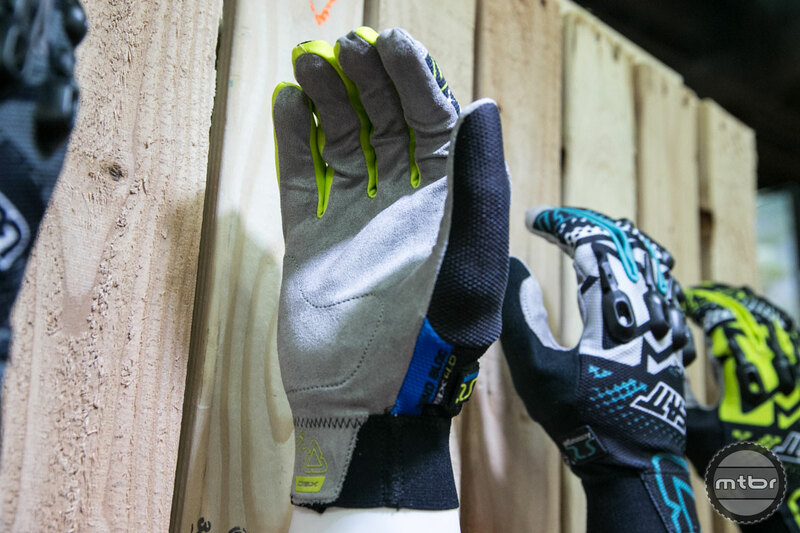 The perforated, multilayer, 3DF Airfit impact foam offers a soft and flexible fit, yet instantly transforms into a harder, energy-absorbing protector upon impact. 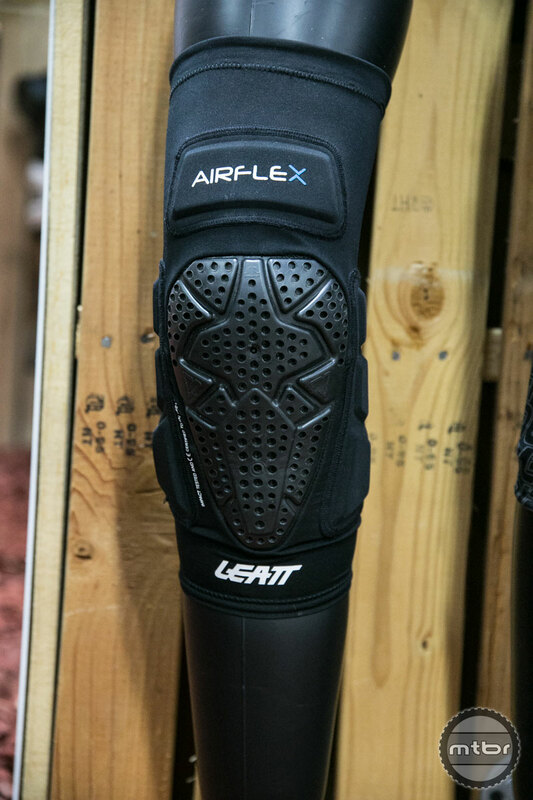 The new AirFlex Pro elbow guard uses Armourgel, a non Newtonian gel that locks up the molecules and becomes hard on impact. This revolutionary gel has great test results in both low and high impacts, works in hot and cold conditions and is soft, flexibleand comfortable. 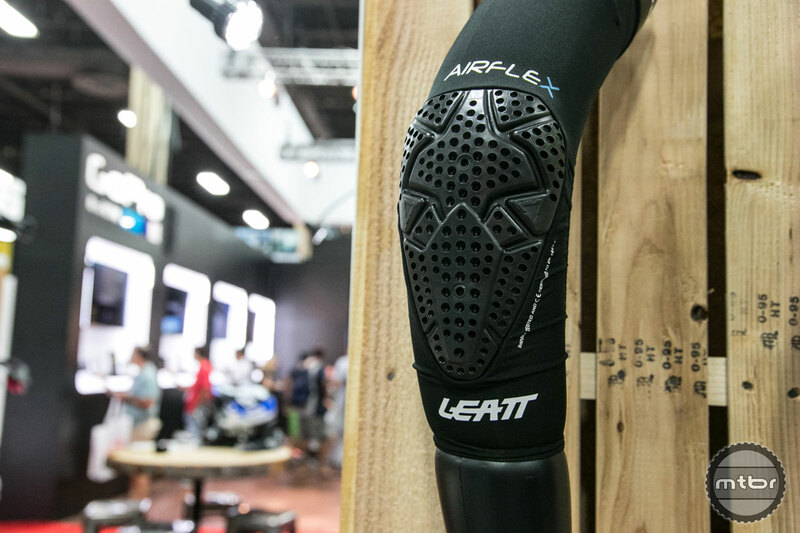 Its ultra slim design meets and exceeds CE certification for impact like all current Leatt elbow guards, but with little to almost no bulkiness. 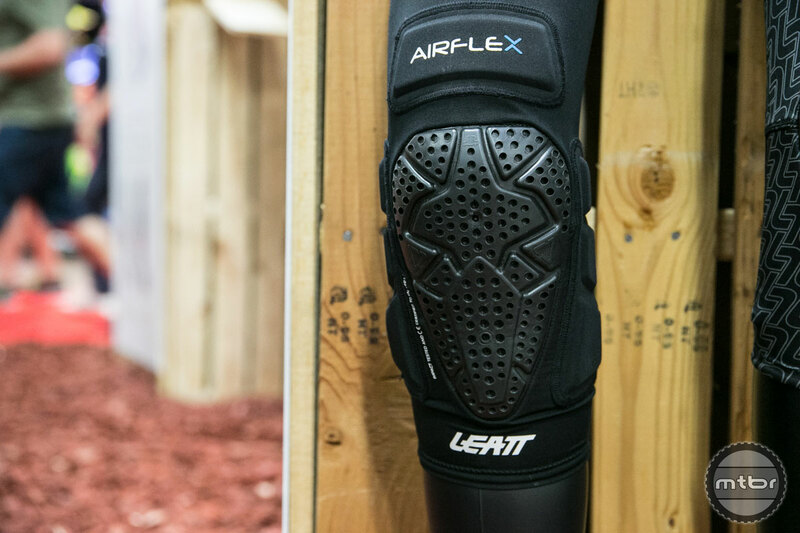 The new ultra slim AirFlex Knee Guard Pro uses Armourgel – a non Newtonian gel that locks up the molecules and becomes hard on impact. This revolutionary gel has great test results in both low and high impacts, works in hot and cold conditions, and offers a soft, flexible and comfortable fit. 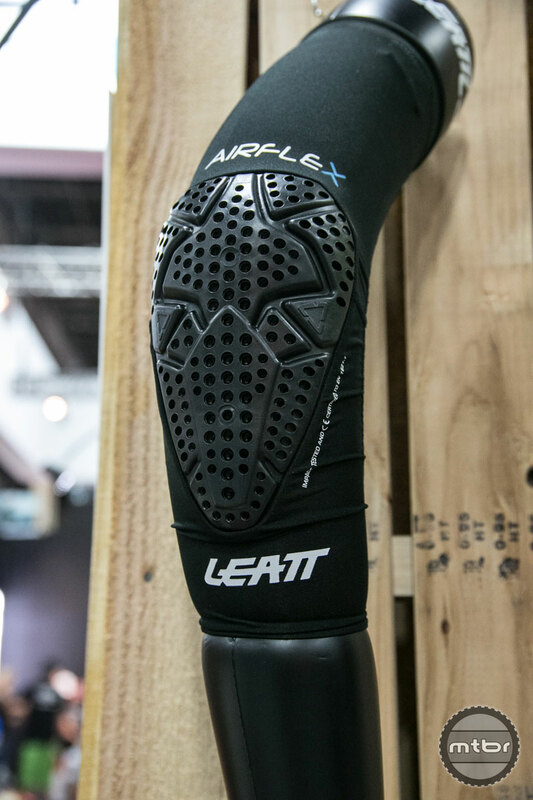 It also offers extra protection to meet and exceed CE certification for impact like all current Leatt knee guards, but with almost no bulkiness. 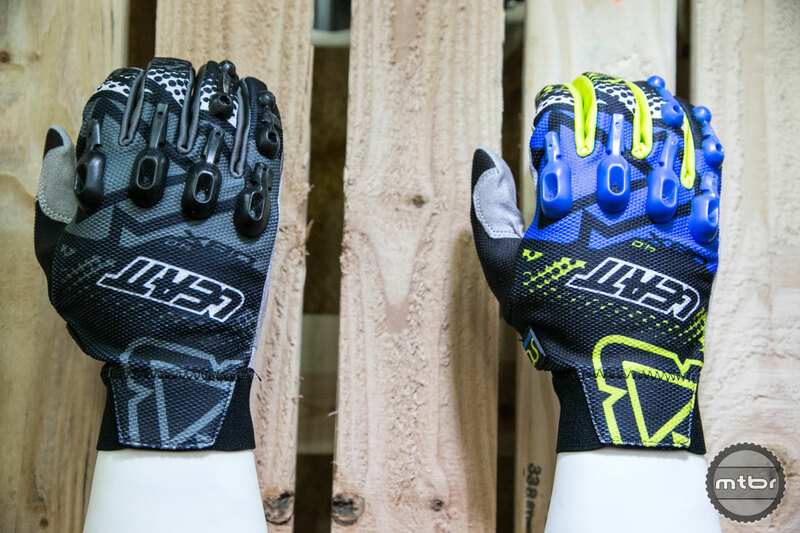 New for 2016, Leatt Protective Gloves designed from two levels of impact protection and three cutting-edge materials. Uniquely engineered for maximum riding comfort with best-in-class CE Certified impact safety features. 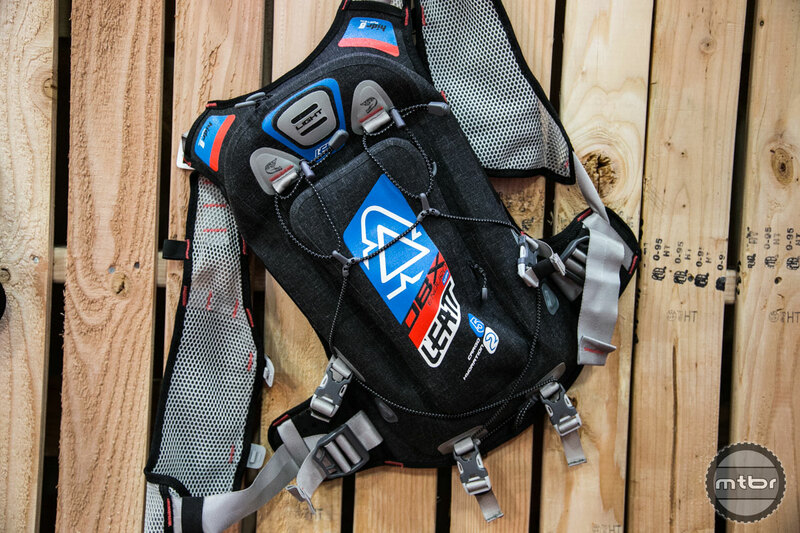 Leatt’s DBX Enduro Lite WP 2.0 is designed for adventure riding, when you require larger amounts of storage. Includes lightweight helmet carrier system for both full face and bicycle helmets, heat resistant encapsulated bladder pocket, and a lightweight, fully adjustable harness for a perfect fit. Also includes outer pocket for MBT helmet or knee/elbow guards. One adult size fits S-XXL.